The Love for Music, Dance, Theatre and the arts through performing arts. 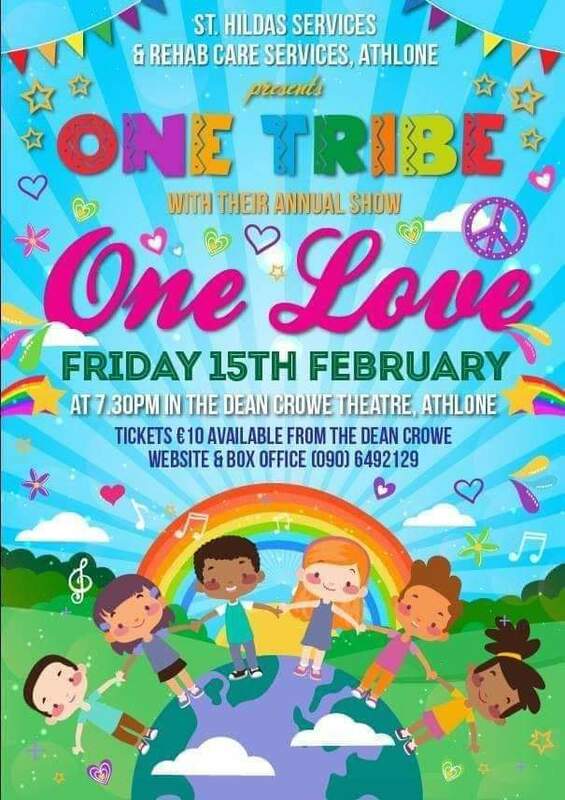 St. Hilda’s Services and Rehab Care in association with The Dean Crowe Theatre and Creative Ireland presents One Love, a showcase of creative ability and initiative showing the love of music, dance, theatre and the arts. Your support is most appreciated, best of luck to everyone involved. This entry was posted in Latest News by Janice. Bookmark the permalink.